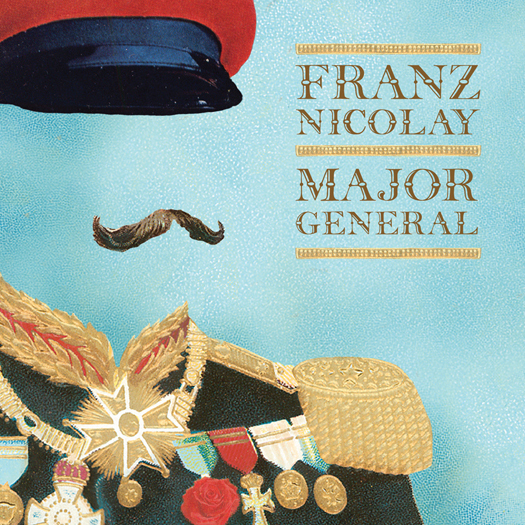 Franz Nicolay's debut album got a UNCUT debut album of the Month. It is fantastic and one of the best things we've heard around here for a long time. If you like Franz's other bands:The Hold Steady and World Inferno Society you will love this but it also has a ton of other influences with the likes of Thin Lizzy, Elvis Costello, Scott Walker, Brel, AMC and not to forget some punk rock for good measure. An album that name checks's Mark Eitzel's "Songs of Love" has to be great with us. Listen to some of the sample tracks for yourself. The album is produced by James Frazee and sounds fantasic loud. The European pressing features two tracks not on the US cd and is in a lovely digipack with a 12 page booklet so dont just download it.